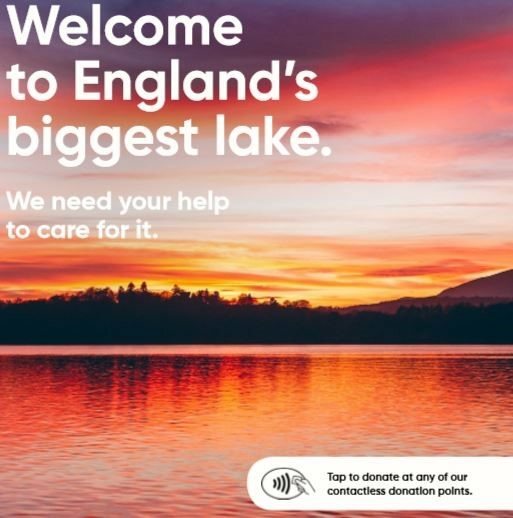 Cumbria Tourism, the Lake District Foundation and the Lake District National Park are working in partnership to embrace new technology to make it easier for visitors to donate money to worthy causes. Described as a “pioneering approach” to help care for the national park, three contactless debit and credit card donation terminals are being used as a convenient alternative to the more traditional coin-slot collection boxes to raise money for the LDF’s grant schemes. To date, the Lake District Foundation has generated more than £2.5million through its innovative Visitor Giving scheme for local conservation projects. Three contactless donation boxes are operational at the Bowness Bay and Keswick Tourist Information Centres, as well as at the beginning of the Ullswater Way route. The LDF raises money through donations from the public and businesses before distributing grants to projects which care for local landscapes. With the support of its partners the Lake District National Park (LDNP) and Cumbria Tourism, the development is part of the ‘Rethinking Parks’ programme by NESTA, a global innovation foundation which supports new ideas to tackle 21st century challenges and follows a survey with members of the public last year. Sarah Swindley, Director of the LDF, says, “We had great feedback from last year’s survey and it’s clearer to us than ever that people who love the Lake District want to help us look after it. People are generally carrying less cash with them than they used to, so we’re really excited to be able to offer this pioneering approach to fundraising to people who would like to support our work”. 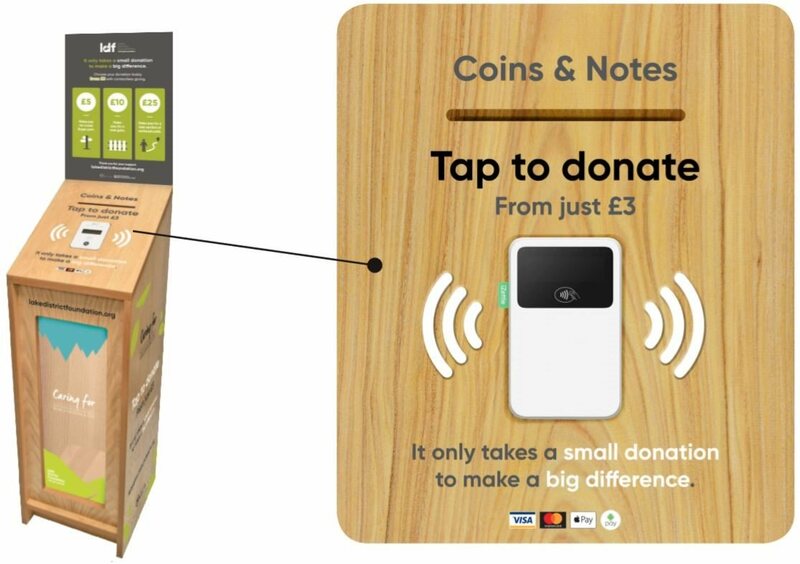 Each machine not only makes donating possible with a simple swipe of a credit or debit card, but also features prominent new messaging about how fundraising can help, in order to maximise each machine’s intended effect. Visitor giving is a critical component for how the Lake District Foundation is able to fund so many worthy projects to help ensure the national park remains a beautiful place for us all to enjoy. To find out more visit the LDF website HERE: or get in touch via info@lakedistrictfoundation.org or call 01539 822622. You can find out more about the Lake District Foundation’s involvement in the ‘Rethinking Parks’ project HERE.